Almost every article I’ve ever read about Big K.R.I.T. compares him to other rappers like Pimp C and David Banner. Comparisons are easy, especially when talking about artists that most people don’t recognize. Familiarity breeds interest; we want to hear music that sounds like other music we know, we want to hear artists that we can compare to others. That is the entire premise of Pandora.com and the Genius playlists on iTunes: giving us music we can identify with, even though we may not know the specific artist or song. Especially with rappers, southern rappers in particular, people try and identify other rappers they sound like, boxing them in before they have the chance to make an identity for themselves. Everyone is the next Andre 3000 or Big Boi. Typecasted. This can sometimes help listeners find new artists that they might like, but in other ways it clips the wings of up and coming rappers, limits their individual shine and almost always sets them up to fail under the weight of too-heavy expectations. Big K.R.I.T. earned the above categorizations with just one mixtape, Big K.R.I.T. Wuz Here, which generated huge buzz and resulted in a major record label deal. But hopefully the same comparisons don't also put shutters on him. On songs like “As Small As A Giant,” off the mixtape, K.R.I.T. mixes up a healthy dose of honest soul searching with clear confidence, over a flow that sounds aged but sharp. Starting off with his best Big Rube impression and a great spoken word intro, he goes right into his verse sounding much older than his 24 years. 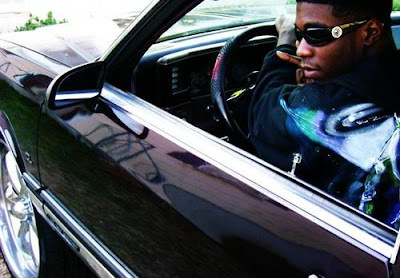 Completely self-produced, KRIT is a shining light of Southern Rap, keeping strong the introspective streak that the South has always had, and one that is more needed now than ever. And oh yea, if ya ask me, I say he kinda sounds like a young TI mixed with a little Trick Daddy ;-).